With chassis control. CT6. With variable damping. This item is a Special Order Part. Most special order parts will generally ship from our warehouse within 48-72 hours but may take up to 7-10 business days based upon their availability from General Motors before shipping from our facility in North Carolina. For parts availability questions please contact us at customerservice@gmpartsdirect.com. All Genuine GM parts are covered by GM's 12 month "parts warranty period" from the date of invoice. 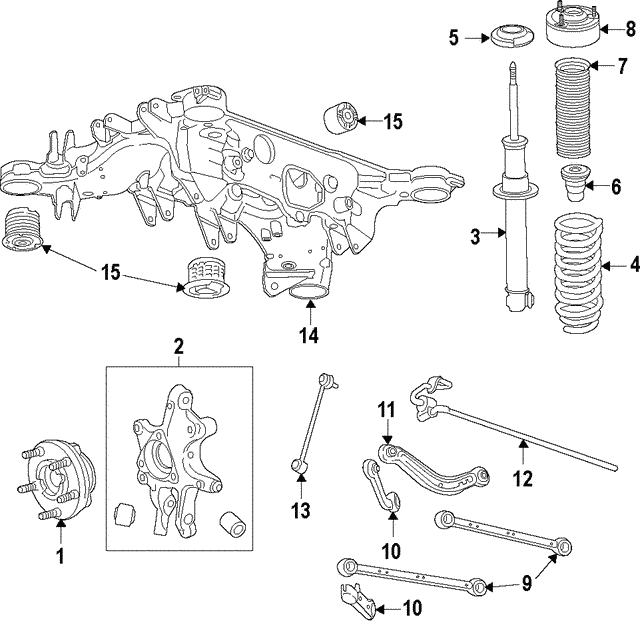 If this part is defective, you should be able to get the warranty claim processed by your local GM dealership's service department, or any GM dealership nationwide with a copy of your invoice. We will also be able to assist in any warranty claims.